YOUR SEARCH IS OVER!! 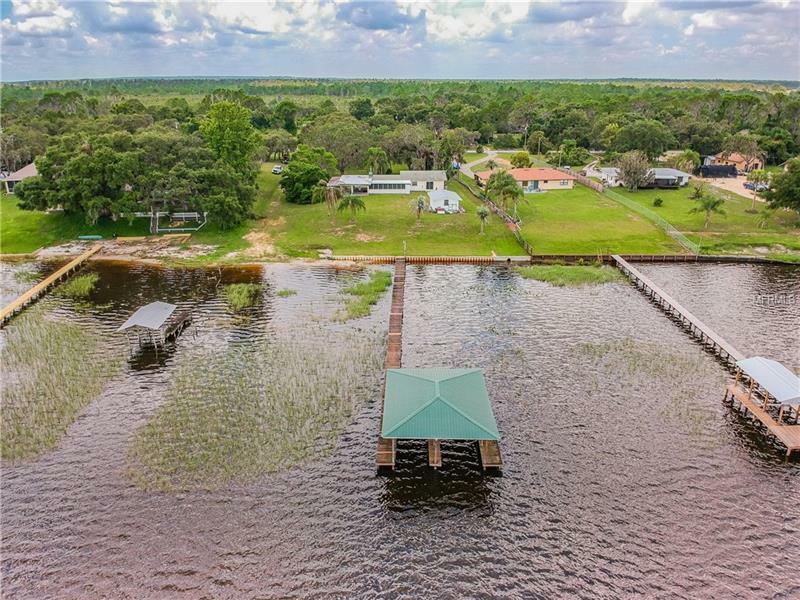 You don’t want to miss this LAKEFRONT HOME that sits on ALMOST 1 ACRE OF LAND and has a beautiful covered dock with 2 lifts!! FISHERMEN & OUTDOOR ETHUSIASTS this is your home! LAKEFRONT BEAUTY ON LAKE WALK-IN-WATER (or Lake Weohyakapka...a Seminole word meaning "walk in water") Polk County's largest lake! Nestled on almost 1 acre this home features a fantastic layout with spacious living areas 3 bedrooms 2 baths just under 1500sq ft desirable “walk around” layout galley style kitchen living/dining room combo and a large enclosed lanai on the back that overlooks the lake. The small workshop/storage area has a washer and dryer and plenty of storage for your extra items. Plenty of parking for guests RV’s BOYS TOYS or watercrafts and a wonderful wooden dock that leads out to the COVERED 2 stall dock with 2 lifts to keep your boats high and dry. Nationally known for its trophy bass fishing Walk-in-Water is Polk County's largest lake and is also home to a healthy assortment of several other species of gamefish as well as a wide variety of wildlife. You won't want to miss the opportunity to make this your own private getaway!